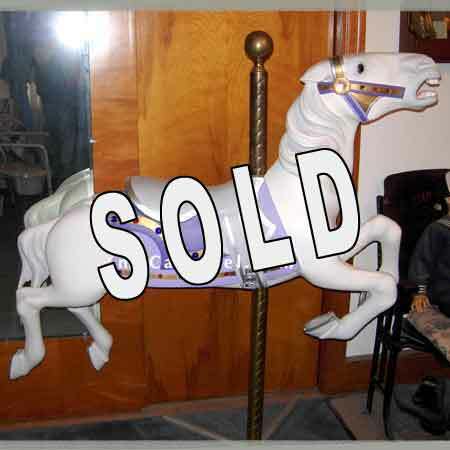 Circa 1920's all wood carousel figure by the Allan Herschell Co. of North Tonawanda, New York. The white jumping horse is painted in a fairytale theme of violet, gold and silver with sparkling jewels, fit for a princess or fair lady. Restored. 52" long.